To use this app, first of all, download and install it. After that choose your image to which you want to add sketch effect. I have a strong relation with a sketch drawing from my childhood time. Recently I download one app name as Pencil Photo Sketch. The app is simple and user-friendly to add sketch art work in your image. After using this application, I thought to share my own experience about this application. So keep reading as I will be going to tell something interesting. What is Pencil Photo Sketch? It is a normal app available at Google Play Store and useful in getting sketch effect in the images. It’s a good way to convert a normal picture into a beautiful sketch. To use this app, first of all, download and install it. After that choose your image to which you want to add sketch effect. Crop or modify the image and then add that effect which you like most. The sketched image will come out and save the same. What type of effects there are? The app is having different effects like cartoon art affect, color drawing effect, light sketch effect, pencil sketch effect and Crayon Effect. 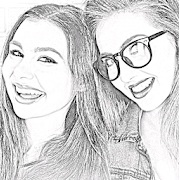 Cartoon photo maker camera filters – Through this function, you will look completely cartoon. So you can enjoy looking yourself as cartoon. Sketch photo maker – It transform your photo into beautiful drawing convert your image gallery into an art exhibition. Drawing pencil sketch editor – Get your image looks like amazing hand drawn. It also contains wax or crayon to get your child drawing. Overall, Pencil Photo Sketch is great application for getting sketch images in an easy way. It’s offering an ultimate way to get sketch images. Download it and get your sketch images. Summary: Pencil Photo Sketch is sketch app that provides a platform to add sketching effect on the image.